Taking action over the complaint of area residents, Police raided the marriage ceremony in District Vehari late on Saturday night and obstructed a marriage of 9 years old girl with 15 years old boy. According to Ludan Police, Bashir Ahmad, resident of Budh Ghulam in District Vehari, was allegedly marrying her step daughter Tayyiba 9 with Umar, 15 years old son of his cousin Kashif. Police conducted a raid and arrested groom, his father and step father of bride. When the police team reached the venue, all the relatives were present and preparations were underway for bride’s departure after Nikah. When the police interrogated Bashir Ahmad, he denied and said that it was only an engagement function. Nikah registrar Fateh Mohammad Khan, however, told that he was invited to administer Nikah. 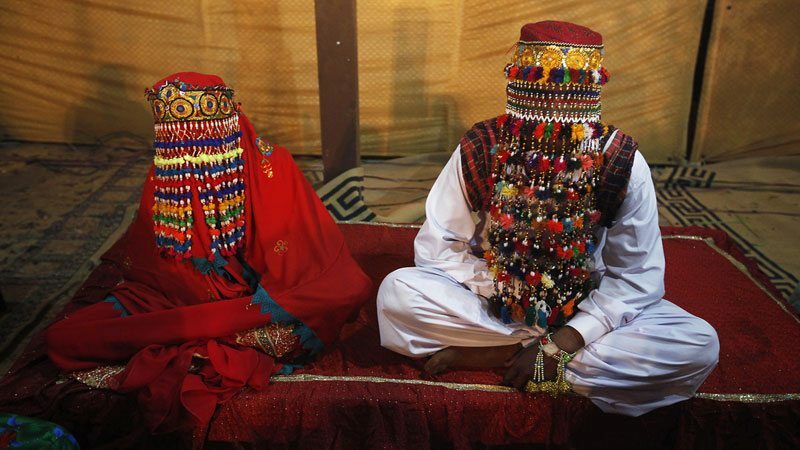 He said that he initially refused to administer Nikah because of the girl’s tender age but the girl’s step father Bashir Ahmad stressed that Tayyaba is a student of class 3 and has reached the age of puberty. Mohammad Shareef, resident of the area who made a complaint to police told that neighbours tried everything to prevent the marriage but Bashir Ahmad was unshakeable, on which the neighbours decided to call police. Principal of the school Government Girls Elementary School told that Tayyaba had shared with her class fellows that her step father was marrying her with his cousin on weekend. The class teacher informed me and the school administration contacted Tayabba’s parents who denied the news. DPO Nasir Aziz told that police have captured three people and strict legal action would be taken after thorough investigation. Published in Daily Times, September 3rd 2018.